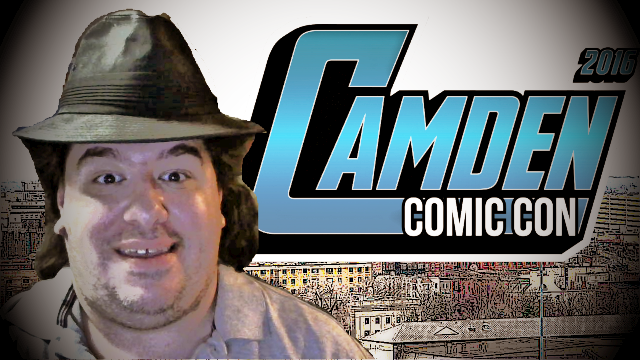 Fred Casden's Basement: Excited for Camden Comic Con! Yes I'm excited! Can't you tell?! The C3 as it was dubbed by Geekadephia, is put on by the find folks at Rutgers University-Camden, and will be held this year at the University's Athletics & Fitness Center and is 100% free and open to the public. Sure there will be vendors there, for those looking to buy and pick up stuff... it is a convention after all... but the C3 doesn't have all the other hassle, hustle and bustle that is associated with say Wizard World that will be in Philadelphia June 2 to June 5. What do I mean? Well...the location for the C3 is easy for anyone remotely familiar with NJ Transit bus lines to, as you're heading to the Walter Rand Transportation Center and walking the short distances over to Rutgers. If you're in Atlantic City, and don't drive, you hope on a bus to Camden. If you're driving, there will be free parking in lots 1, 2, 3 & 14, and also there would be paid parking in the Camden County College Parking Deck, and metered parking locations around the area. Of course this is all information available right at the C3's website, camdencomiccon.tumblr.com... .. but what am I excited about? Phillip McNulty (who worked on Man O War and X-Men '92) and Ryan Bradly (works include The Bolt and Anomaly) will be hosting a workship on how folks can start to create their own comic books. If you follow my on Facebook, you know I'm a Brony, and Diana Leto will be teaching the ins and out of drawing the characters of My Little Pony, which by the way had a very meme-tastic season premier this past weekend. Larry Hama (GI Joe, Bucky O'Hare) will be in attendance for a discussion of his past, present and process of creating characters and story-lines, Fight Director Ian Rose will be there to show how stage and film fights are put together. It's a stacked line up, and again, it's happening next Saturday, April 9 at Rutgers University in Camden, NJ. I know I'll be there to see everything and meet my fellow comic fans.